As a homeowner, you’ve probably spent a lot of time thinking about decor elements inside of your home. You may be following all the design trends shown on HGTV or have a tried and true decor that fits your own personal style. No matter which you favour, there seems to be an endless supply of experts available to help you change things up whenever the mood arises. But what about your outdoor decor? Did you even know there was such a thing? Or have you been comfortable with planting a few annuals each spring, throwing down a little mulch, and calling it landscaping? With advances in all-weather products like furniture, materials, and decorative accessories, you’ll be able to equip your outdoor living space with many of the same elements you use inside. There are three key elements to consider when emphasizing your house style outdoors: colour, texture, and decor items. Different colour schemes are commonly used to highlight and accent different architectural styles. And while you should feel free to experiment by blending colours to match your tastes and personality, this guide will help inspire you to select the perfect combinations for your home. Craftsman – The Arts and Crafts style focuses on earth-tones, natural materials, and organic colours. Varying shades of green, cream, brown, coppery red, tans, and gray. Stained wood also makes an attractive accent for doors and windows, decks, fencing, and other structural components. Traditional – Neutral hues (white, tan, light gray) blended with pastels keep this style home looking bright and inviting. To boost curb appeal and show off your personality, add a bright splash of colour to the front door or accent pieces. Mediterranean – Sun-inspired colours like terra-cotta work well with earthy browns and greens for this casually elegant style. Farmhouse – White with black trim is classic Farmhouse style, but light gray with white or sunny yellow with white trim are beautiful variations. If you’re feeling adventurous, paint the front door black and add a wooden storm door. Cottage – Inspired by shades found in nature, siding colours should stay in the smoky blue, green, gray, or brown tones. Accent trims can be white or cream. Brighten the design with a red or bright yellow front door and accent pieces. Ranch – Warm neutral shades of brown and beige work well for sprawling ranch designs. Dark green will work well for window trims without overwhelming the style. Eclectic – This design typically includes a lot of detail work. A natural colour palette of gray, tan, and white is preferred to allow the many design features to remain the focus of the home. Bright shades can be added to the front door to add interest. This is the element that brings your home to life. Texture can be achieved by adding various construction materials, but that’s not the only method that will help your home get noticed. When we think of texture, it often relates to how something feels—how coarse or smooth it is. Other characteristics include the size, shape and weight of an item. You can use texture to create contrast toward or away from a focal point, provide balance and symmetry, or display diversity in your overall design. As you consider various textural elements to include in your outdoor decor, remember that the perception will change with distance and angle. KP Construction CA can help you “envision” your selections from multiple vantage points with their 3D visualization technology. By providing a photo-realistic image of your concept before construction begins, you’ll be able to determine if your outdoor area will complement your home and work in harmony with your architectural style. Brick – Create a privacy screen, neutral backdrop for a garden, landscape edging, support columns, an outdoor fireplace or fire pit surround, or use coloured crushed brick in place of mulch. Stucco – This durable treatment covers concrete block or bricks with a heavy or smooth textured surface. Decorate walls with stone caps, fireplace fronts, whitewashing over brick, or add random stones for a unique decorative look. 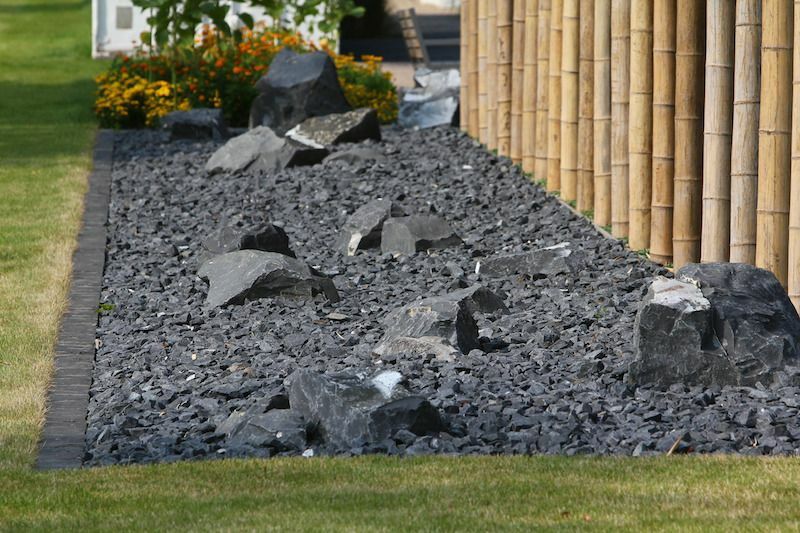 Stone – Use as boundary points, garden or landscape edging, or waterfall feature. 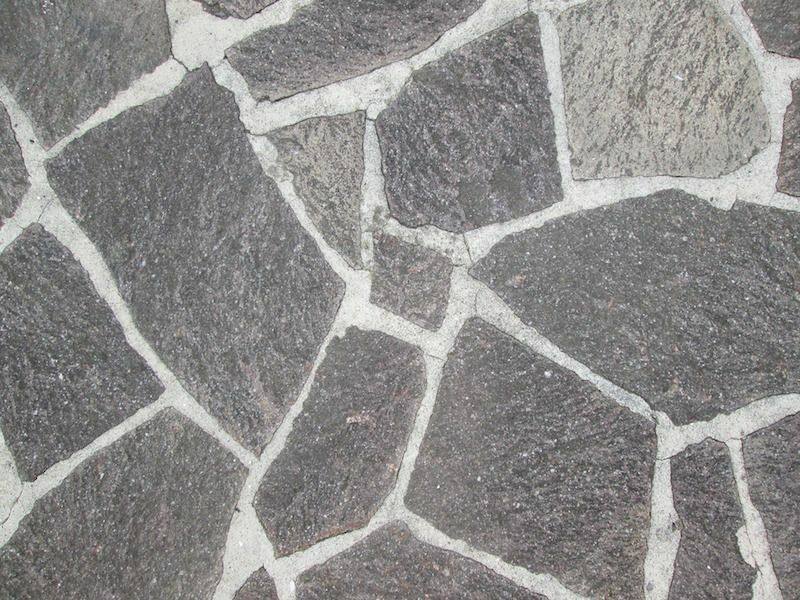 Gravel – Design for walkways, gardens and between pavers. Shake shingles (cedar or vinyl) – Use as a siding, small areas for accent, roofing shingles, leave untreated for a natural weathered gray colour or seal to retain earthy brown tones. Dormers – Creating a break in a straight roof line; adds symmetry and balance. Gables – High peaks and low valleys provide an aesthetically pleasing design. Picket fencing – Can be used to create boundaries or as a decorative play of light. Stone walls – Large or small stones can provide volume for column bases or a magnificent backdrop for landscaping. Dental trim/louvers – Breaks the monotony of straight lines in an architectural design while creating a unique detail element. Architectural roofing shingles – Adds the perfect top to any home design, blends colour with texture to create an attractive finish. Landscaping – Use plants with vibrant shades of colour, contrasting textures of fine and coarse plus varying degrees of bark colour. Multi-level decks – Creates the illusion of texture by bringing the eye across a smooth floor surface with a step up or down to a new level. Wood or wrought-iron railings – The possibilities are endless, plays with light and balance depending on material, weight, design and colour. Pergola – Provides a texture of shadows and a vertical decor element. Water feature – In addition to the aesthetic textures created by water, an extra element involves the smooth sounds from trickling or splashing water. Columns – Dependent on materials used, these vertical elements can provide a grand entrance or welcoming. Trees/Hedges/Shrubs – Add flowering trees, Weeping Willows, smooth trimmed hedges and colourful shrubbery to contrast and add lush texturing to your entire yard. These are the accessories for the outdoors. Just as no room is complete without these decorator touches, the exterior of your home needs these finish pieces to bring everything together. Here, you’ll likely want to stay consistent by bringing a similar indoor style to the outdoors. The main idea is to complement the architectural style of the house, but you can also expand your selections to incorporate lifestyle features and a landscape theme. Floral pots/planters – Choose pot colours, sizes and materials to coordinate with other features. Add flowering annuals or multi-tonal greenery. Furniture – Water-resistant or waterproof fabric, no matter where it’s stored, can help preserve the look of your furniture. Fade-resistant fabric will also help protect your cushions from damaging sun rays and rain. Umbrellas – Think of bright and colourful hues to create a casual feel or subdued tones to blend into the overall design while shading guests from harsh sunlight. Rugs – Outdoor rugs will bring comfortable living from the inside while providing a beautiful backdrop for furniture and accessories. Selecting outdoor rugs backed with a synthetic fiber will provide the longest life and mildew resistance. Natural fibers provide an organic look but will deteriorate over time. Draperies – Use as privacy screening for a pergola or as a decorative background to landscaping. Sheer or printed fabrics will also add texture to your design. Lighting fixtures/decorative/landscape lights – From hanging pendants to lanterns, miniature stair lites to solar landscaping lighting, they all combine to improve flair and function. Statues – If you’ve chosen a particular landscape theme such as Japanese or English, statues will be an intricate part of your style. Consider using a statue as a focal area with live plants and water elements surrounding it. 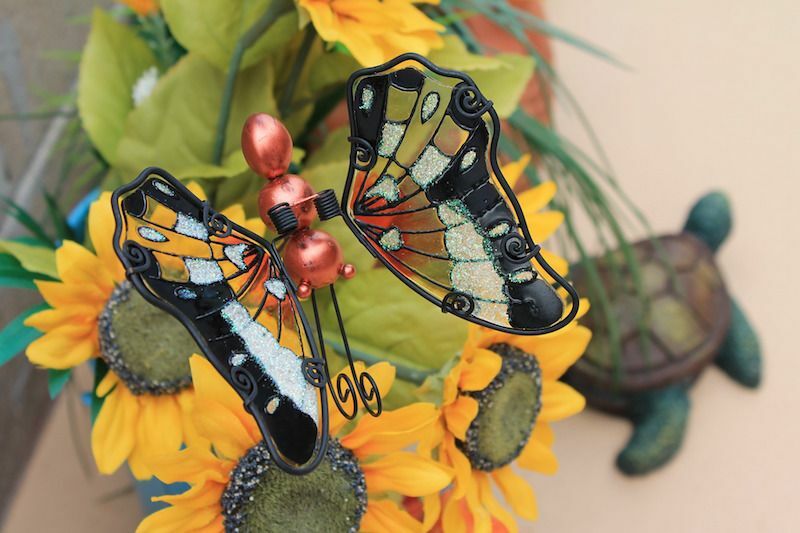 Garden items – Most anything goes today as homeowners are becoming more creative with accessorizing. 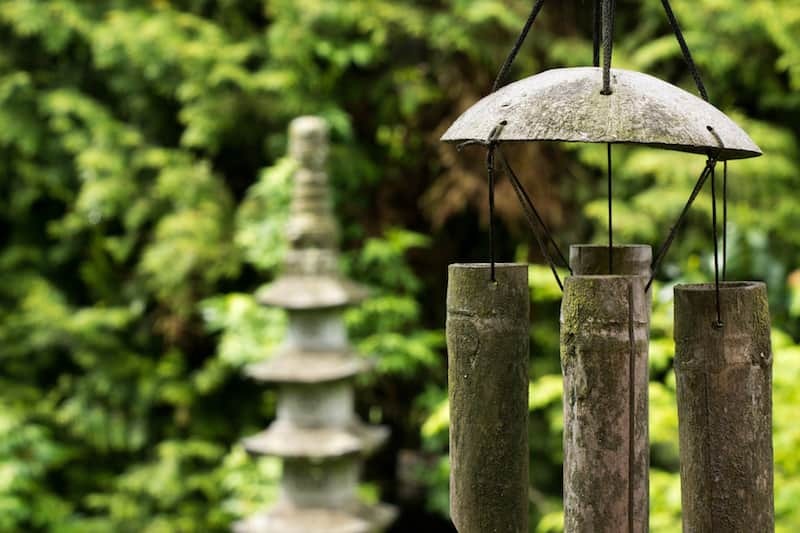 Traditional garden items include a birdbath, garden globe and fountains, while more modern selections range from expensive antiques to novelty birdhouses and fountains. Coloured stone/mulch – Just as a blank canvas provides a clear surface to create a masterpiece, coloured stone or natural bark mulch are the foundation to a beautiful flowerbed. Flowers – There is a dizzying array of flowering plants available for your garden. It’s always wise to consult with a nursery professional to make the proper selection for your location. You’ll be selecting from varying heights, annuals, perennials as well as how many times year they bloom. It’s always desirable to stagger the blooming periods so you have blossoms all year long. Artwork – Just as your favorite artist’s work graces your interior walls, you can bring the artwork outside to be enjoyed year-round. Consider subject matter, colour schemes, textures and size to find the perfect selections for your space. Pillows – Just as you did for furniture fabrics, make sure all pillow fabrics and inserts are 100% waterproof. Accent pillows come in such a huge variety of sizes, shapes and colours, you’re sure to find exactly what you’re looking for. Whether you live in the suburbs, the city or a rural community, expanding your living space to include the outdoors makes perfect sense. It adds curb appeal, value and a place for you and your family to relax and enjoy. While simple designs can often be accomplished yourself, more complicated styles should be designed with professional assistance to achieve the perfect blend of all elements—colour, texture and decor—to emphasize your house style. For a highly qualified backyard design expert serving Markham, Toronto and GTA, contact KP Construction, and schedule your free consultation today. Looking For Professional Help Designing a Full Backyard Experience? We will guide you through every single stage of backyard design, planning and building. Unique and hassle-free process. Awesome result guaranteed!